A couple weekends ago, I ran another 5K. I ran for this organization before; the race was for Zenit, one of our local gymnastics gyms. My oldest, Beth, used to take tumbling lessons there. 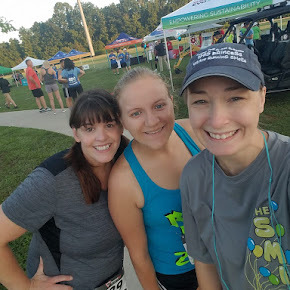 The first time I ran this race, it was to support Zenit; this time, I ran this race purely because I wanted to run, and they hosted it at my favorite course - a local park with a nice flat and scenic route. The weather started out sunny but with a nice breeze. 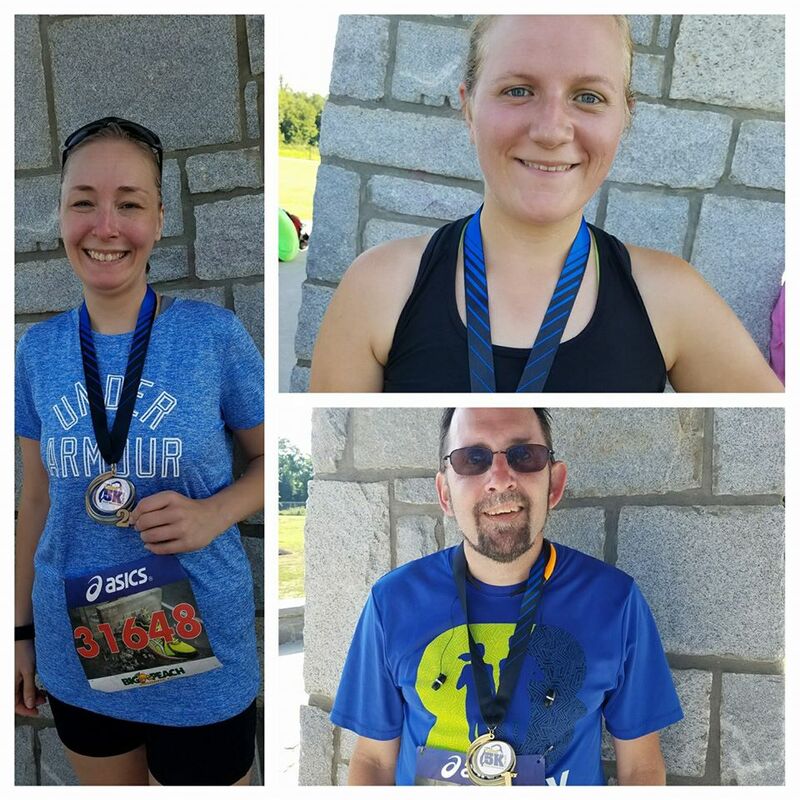 It felt good - unexpected for a late June race. Unfortunately, it didn't stay that way for very long. 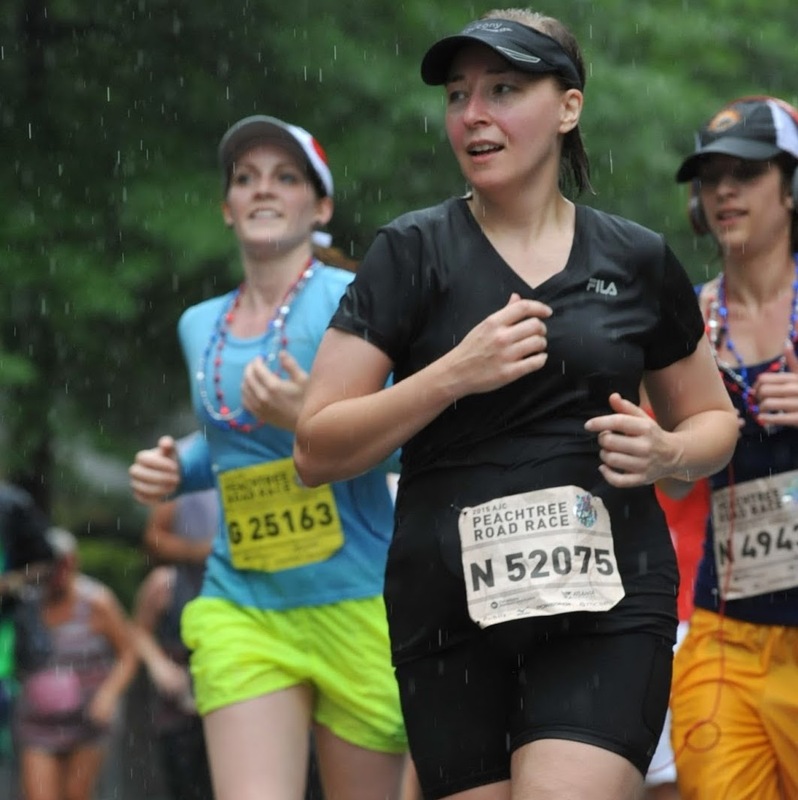 Soon after the race began, I knew the heat was going to negatively influence my race time. The sun was beating down on me and seemed to be pushing my whole body down into the pavement. I could feel myself slowing down. It crushed my hopes of getting an age group award, but I wasn't about to let it destroy my run. I pressed on, despite the heat. Despite my disappointment. I ran this race as if there was still a chance to achieve a prize. And to my joy, I did receive a prize. Second in my age group! Reported Stats: There were 5 finishers in the Female 30 to 39 age group and 64 finishers in the race. Your overall finish was 41 and your age group finish place was 3. Your time of 37:18 gave you a 12:02 pace per mile. My pace was more than a minute my usual pace because of the heat, but that didn't matter. I had finished the race. I had collected a reward. And my friends with me that day also collected age group awards! 1 Corinthians 9:24 - Do you not know that in a race all the runners run, but only one gets the prize? Run in such a way as to get the prize. That day, despite heat and discouragement, I ran in such a way as to get a prize. And I did. Do that. Every day. Run in such a way as to get the prize.